We're proud to be associated with partner firms that assist our clients in developing advanced capabilities and profit performance using WayPoint information. These firms are the best in the league and have developed and delivered programs that put WayPoint clients in the lead. 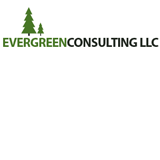 Evergreen Consulting shows distributors how to increase profits and grow the value of their business. They work closely with clients to make sure they reach their goals. Their primary focus areas are strategic pricing (SMART Pricing) and customer profitability (SMART CPA). 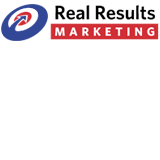 Real Results Marketing shows you how to identify where your best prospects are, which among them are the most profitable, and how much profitable business you could gain from each account. Knowing where to look for the best customers, what to look for, and how to get them to buy from your business is absolutely critical for growing your sales and profits. 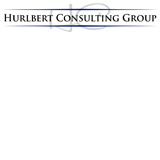 Hurlbert Consulting Group makes use of two proven systems – the Opportunity Generator and Customer Feedback Generator – which allows you to deliver the highest level of care to your customers. The Customer Feedback Generator helps to keep that customer service on track and, at the same time, gives you valuable customer satisfaction data. It's no secret that many seasoned salespeople can be very set in their ways. If left unchecked, your new salespeople can develop bad habits of their own as well. 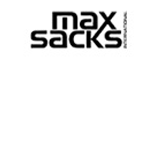 That's where Max Sacks International comes in with the help of things like Line Item Profit Analytics and the 5x5 Dashboard, Max Sacks will show you what the sales force needs to be doing to use WayPoint Analytics to its full capacity. For decades, the team at Wade & Partners has provided out-of-the-box thinking for some of the most innovative and successful distributors and manufacturers in the heavy-duty aftermarket sector. From M&A, to market share strategies, the Wade team brings broad knowledge and decades of experience to help companies break of of stasis and the tyranny of the status quo. 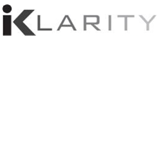 iKlarity has a number of pre-packaged solutions including a Wholesale Distribution eLearning channel. They can build custom web courses suited to your organization's specific needs and offer in-person workshops. iKlarity also offers executive coaching to include ways to hone your management's communication style, making them more capable of motivating and engaging their teams. With an all-star line-up of industry thought-leaders and experts, APIC's two course tracks demonstrate how you can supercharge your business, wow your customers, and defend yourself from competitors. At APIC, strategists, analysts, and experts who have been working with, testing and driving the most profitable ideas in distribution will gather in one place and share the information that will define the winning strategies in the years to come.